Before Instagram, the disposable camera helped pave the way for digital photography. But the basic idea was a century old by the time it went mainstream. Like the App Store, but good: Are you a Mac user? 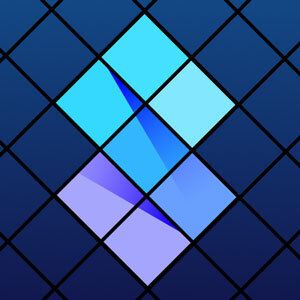 Check out SetApp, which is like Spotify for your desktop—and has tons of cool, useful apps you'd never find on the Mac App Store. Sign up for a free trial. Wanna advertise here? Learn more over this way. — Grace M. Mayer, a well-known photography curator for the Museum of Modern Art, discussing the 1963 announcement of Polacolor, the instant camera technology developed by Polaroid cofounder Edwin Land, in a 1967 article for the magazine Contemporary Photographer. Little did Mayer know, devices of this very sort had already existed for decades in one form or another. It was just that Kodak hadn’t released theirs yet. The word “disposable” implies many things about cameras and other similar devices, but often, a few key elements are at play. First off, the camera must allow for the shooting of a photograph at a low cost, one that would not break the bank. It’s intended for people who don’t always want to carry a camera around, but sometimes have a need for one. The camera must be inexpensive, but usable. And, most importantly, when you’re done using it, you need to have pictures, and you must not have a camera. Given that description, the first camera to fit that bill is the Ready Fotografer, a device that dates to the late 19th century. 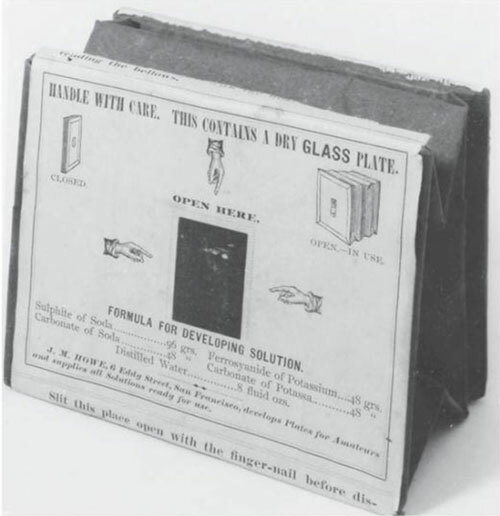 An early pinhole camera complete with glass plate, the Ready Fotografer’s claim to fame was its ability to take decent-quality photographs using a combination of cardboard, paper, and glass, despite having a cost of just 25 cents, a far cry from the $50 that many handheld cameras went for during the 1880s and 1890s. It also had a business model that went beyond the disposability: You could technically develop it yourself using the dry plate, but you could also mail the device to San Francisco to have someone else do it for you. Sending a camera in the mail to have someone print your photos—that sounds pretty crazy to think about in 2018, doesn’t it? It turns out, though, that this was the system that many disposable camera systems used. A 1988 article in Popular Photography by camera historian Eaton S. Lothrop, Jr., does a thoughtful job of pointing out how this basic idea of sending cameras in the mail was a major driver of consumer photography—both in disposable form, and (on a concurrent track) through the use of “returnable” cameras. Some of the earliest examples of single-use cameras used this tactic—including the “Picture Box,” a 1940s camera made of thick cardboard, and the “Photo-Pac,” which had plastic inner-lining, the first of its kind for a single-use camera. 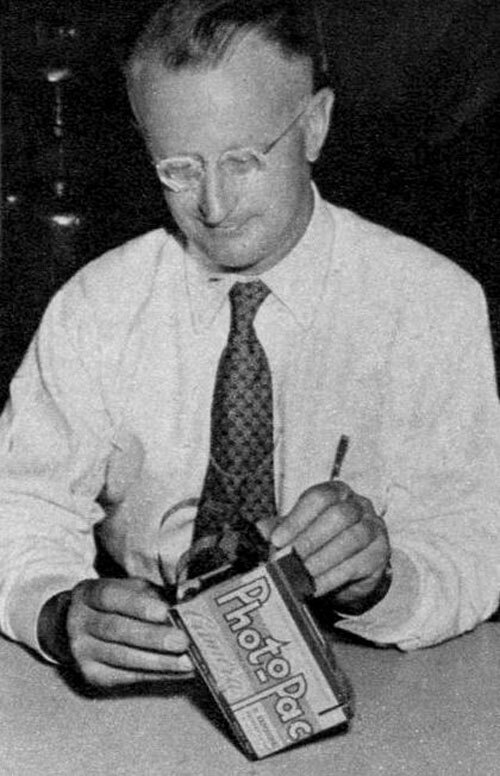 The Photo-Pac, which could be had for around $1.50 in 1940s money, was designed to be bought at a store, used, and dropped in a mailbox—after you added the stamp directly on the packaging, of course. In many ways, returnables like the Kodak worked similarly to how Netflix’s original DVD service worked. You have a fun day where you take a lot of photos, you send the photos in the mail, and eventually you get your shots back, with no clue how any of them looked at the time except your memory. Disposable cameras, which had a model somewhat closer to Redbox (or, really, let’s be honest with ourselves, Circuit City’s DIVX), had this same basic feature, but they also had something else: They were lightweight and designed to get out of the way as soon as you were done with them. To put it another way, the pictures always were the star of the show—never the camera. This invention is fundamental in the development of the disposable camera, but good luck finding the guy who made it. Despite all this long history, the term “disposable camera” appears to have not come along until the late 1960s, when the term was used in a patent for such a device—a patent that is frequently cited in more recent variants of the device. The device he created, shown above, used inexpensive plastic and had the ability to remove and replace film—a key difference from most disposable cameras, in which the film is usually non-replaceable. 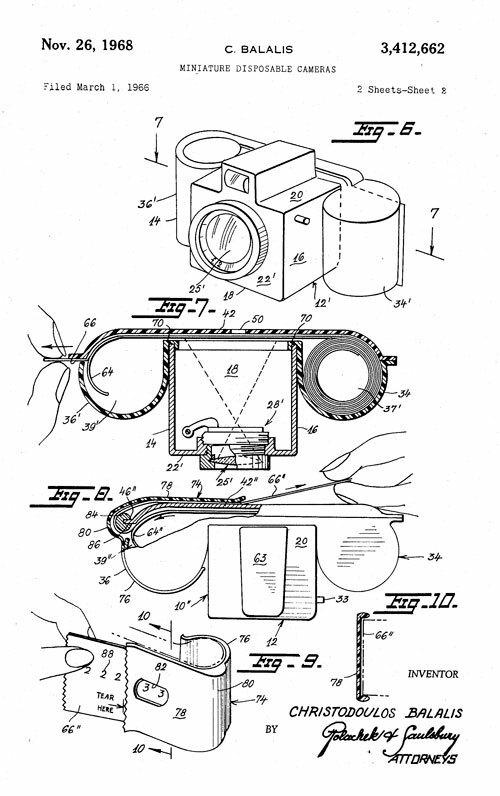 Besides the patent, which makes the case to “provide a compact camera of a cost which makes it economical to dispose of the camera after a single use,” all we know about Balalis is what was written in a short brief about his invention in the New York Times in 1968. 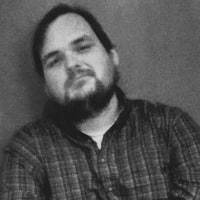 The long and short of it: He worked as a printer in New York City, and five years prior, he went on a honeymoon in Hawaii. While there, he lost his camera. It made him realize that there was a need for a camera, in case of emergencies not unlike the one he faced. At the time of his patent filing, he only had a prototype, and owned his own printing company. Was he never able to find the right investors? Were there technical problems? Did he just give up on turning his idea into something consumers would buy? Whatever the case, his story ends the way so many others do in old newspaper pages: Unnoticed. Hopefully, someone took a picture before he disappeared into the abyss. — A spokesman for Eastman Kodak, pooh-poohing the idea of a disposable camera in a 1973 article in the Democrat and Chronicle, the Rochester, New York, company’s hometown newspaper. 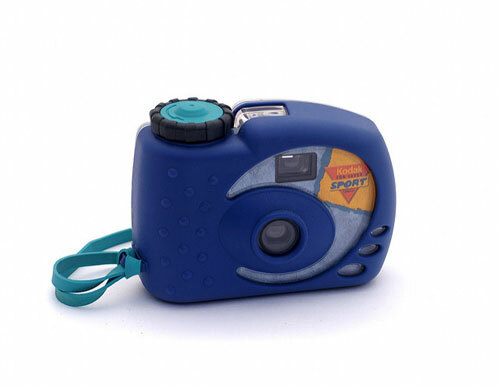 The spokesman went on to claim that the quality of such cameras was low and that they were based on “not very sound principles.” The camera the spokesman was critiquing, the Plastic Development Corp.’s Plastic Disposable Camera (PDC), was perhaps the first disposable camera that gained any degree of mainstream notice, including a writeup in Popular Mechanics. The camera cost just 65 cents (around $3.84 today), which was actually cheaper than the better-known disposable cameras of the ‘80s and ‘90s. Disposable and reusable cameras grew in uptake in the 1970s, with name brands such as Technicolor talking part in the field, and a wide array of startups offering their takes on the miniature camera. But mainstream camera companies, like Kodak, had tried pushing things in the direction of cameras that weren’t necessarily disposable, but Consumer cameras during this era, while not disposable, were very tiny, making them easy to carry around even when you weren’t thinking about it. Kodak’s cartridge-based 110 film format, along with its later disc format, played a key role in the growth of the tiny camera. But Kodak’s decades-long decision to ignore the disposable camera space ultimately became untenable for one reason: Fuji. In 1986, the world’s second-largest film-maker got into a market that had been relegated to niche players, suddenly giving the idea mainstream recognition. Reports of the time suggested Fuji was playing off a broader trend in Japanese culture toward disposable goods, but the success of its camera—even if it wasn’t as good as a full-fledged camera and came with a bunch of limitations—nonetheless meant that the disposable camera was about to become a mainstream phenomenon in the U.S., too. Kodak had to get into the disposable camera space, because if it didn’t, it threatened to lose the upper hand in the consumer photography market it had long fostered. Some startup inventing a tiny camera that cost 65 cents was nothing; it could argue that the quality wasn’t very good and that the competitor was destined to fail. But Fuji was the Toyota to Kodak’s Ford; the competition between the two companies was high in the ‘80s, and Fuji very likely to succeed with disposable cameras. In a 1987 UPI piece discussing the introduction of Kodak’s Fling camera, industry analyst Eugene Glazer basically said as much, though in the same piece Kodak denied such strategic thinking. Kodak’s Fling, at $6.95, cost less than Fuji’s $10 Quick Snap, which represented the Japanese company’s introduction to the American market, but that lower cost came with lower quality; the Quick Snap offered full 35mm film, while Kodak’s initial offering was a 110 format camera. Soon enough, these cameras would be everywhere. Just as Polaroid instant cameras did, they very much defined consumer photography in the late ‘80s and throughout the ‘90s. They also were sold at drug stores, at superstores, and at supermarket checkout lanes, just like two other icons of ‘80s disposability, the Bic razor and Bic lighter. It was promoted at the time as a new idea—and some elements, like the use of 35mm film, certainly were new additions to the equation. And the cameras could be dropped off at the same camera shop where you got all your other photos developed, necessary due to the then-prevalence of one-hour photo shops. Grace M. Mayer’s great fear of disposable cameras lining the highways of the American landscape weren’t totally unfounded, but one of the great things about disposable cameras is that the term actually turned out, in the end, to be inaccurate in relation to the cameras Fuji and Kodak made. Sure, there was nothing the film companies could do if you decided to throw your camera, full of unprocessed film, in a trash can, but the companies and their competitors, sensing a potential controversy on their hands, got quite good at remanufacturing the cameras. Think about it: When it comes down to it, a disposable camera is a closed loop. You had to send it somewhere, usually your local drug store or one-hour photo shop, and they did the hard work of preparing the pictures. You weren’t getting the camera back, so it might as well go back to the manufacturer, which can reuse most of the parts without any major changes. The companies even incentivized the recycling by buying back the shells, much like one might do for recycling bottles of soda. Per a 1991 New York Times piece, Fuji and Kodak would even accept their competitors’ disposable camera shells, though they would pay less. The University of Delaware’s excellent 2014 project Disposable America, which documents the history of a variety of wasteful objects, wrote a fairly detailed piece on the disposable camera, noting the brilliance of Kodak’s recycling program in particular. When Kodak upgraded its camera to the Kodak Max in 1995, for example, the new camera was designed to recycle most of the parts in the model it replaced. 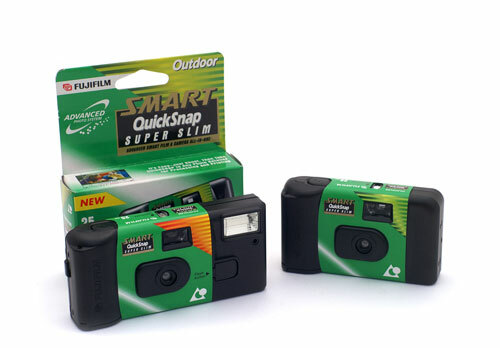 “Consumers made it known that they wanted disposable cameras that were cheap, convenient, satisfactory in quality, and environmentally responsible. Kodak and Fuji answered their call,” the piece explains. In recent years, Apple has made a big deal about its robots that can disassemble iPhones in quick order. In many ways, it’s the new generation of disposable camera recycling, using a similar closed-loop model. It feels a little more uncomfortable, though, considering that Apple is ripping apart $600 phones that can’t be upgraded and require an array of extra peripherals due to their proprietary design, rather than $10 devices for the masses. When you require your customers to carry around pieces of plastic and wire just to use the devices they already own, you can’t call yourself environmentally friendly. In many ways, our world has gotten both less disposable and more disposable since the days when throwaway cameras became a cultural phenomenon. One hopes, however, that companies will see how Kodak and Fuji stepped up when called out on the impact of their disposability and follow suit. Apple, whose phones (and the industry they inspired) have done more to replace the disposable camera than any other company, should be first in line.